Those are a lot of appearances and titles to keep track of. 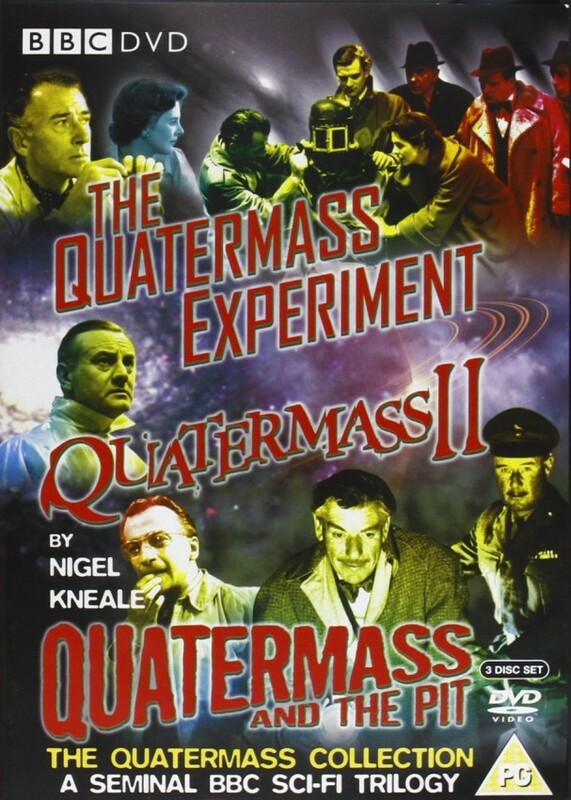 But one thing is clear to me: any singular appearance by Quatermass is well-portrayed, but it’s his constant resurfacing and re-imagining by his creator Nigel Kneale that is truly impressive. The character Quatermass does not simply update and adapt to the times – in some ways I think the ’55 film was ahead of the ’58/’59 series – but he does constantly shift and shape to the necessary story, making you un-think him as a linear character (he does not simply keep living) and more like a figure of speech (on screen). He is an idea (one that was clearly stirring around in Kneale’s mind for many years, and that he was thankfully able to manifest one last time in 2005, one year before his death). And then there is the issue of what is normal? When dealing with the odd, the supernatural, the phenomenal, in nearly every appearance of Quatermass (again I haven’t watched them all) is some instance of the notion of normal! Was he trying to kill himself? He should be dead! These drugs at ‘normal’ mixing would have killed any ordinary man! “Whaaat?” Brilliant. Fast-forward a couple years and the same Professor Quatermass (played by Brian Donlevy) is no longer launching rockets into space. The agency that he’s head of in Quatermass II is running over-budget and his ideas – “solar mirrors, producer units, pressure domes…” – are not understood by “Whitehall bureaucrats.” Or are they? Muwahahahaha!! While out exploring, Quatermass stumbles upon an area where some quaint English town used to be that instead resembles his “moon project” facility. One of his best engineers is incapacitated when some pod-spore spews its contents onto his face, and they’re surrounded by guards who force Quatermass to leave while they tend to the engineer. Nothing ‘abnormal’ about catcalling in 1957! They’re normal! Numbskulls like that reporter. Ordinary folk, not alien power players or pod-spore infected beings. Just normal people. Right-o enough with all this silly alien mumbo jumbo – let’s get back to normal! You have to imagine how giddy I was when this line was spoken! I clapped. I literally clapped! They’re all great, remarkable even. They each have their own moments, sub-plots, and scenarios (sets, shots, and props) that make them each unique and wonderful. 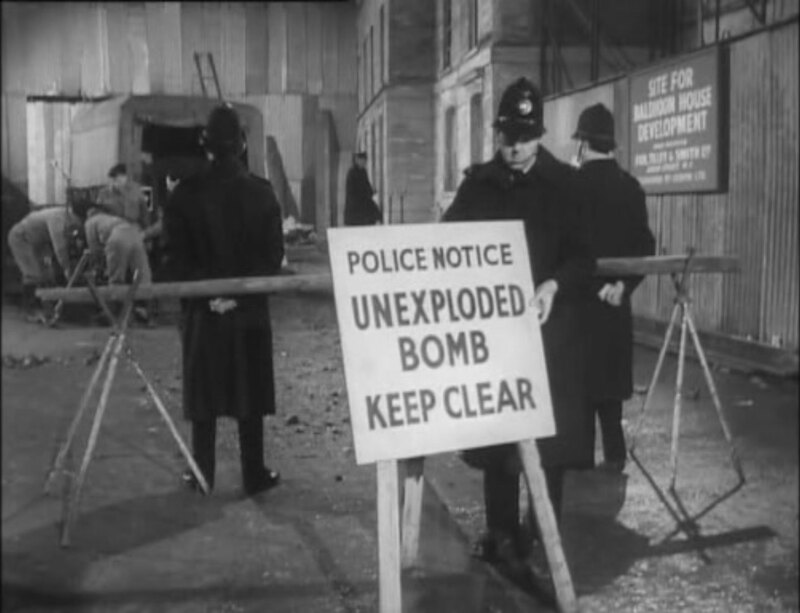 From the Orwellian signage and slogans throughout the “law-abiding community” in Enemy from Space to the scene in The Quatermass Xperiment where the astronaut, recorded on film, walks sideways up the interior of the rocket hull (an obvious pre-cursor to Kubrick’s seminal 1968 film 2001: A Space Odyssey). From the Tate-in-cheek architectural tour in 2005’s The Quatermass Experiment reboot to the moment in Five Million Years to Earth when the rocket-hull melts and unveils the vault with the alien-prism inside (love that scene!). I think Enemy from Space is my overall favorite of the screenplays I’ve watched, although I’m partial the portrayal of Quatermass in the ’67 film the most; Andrew Keir is simply a good British actor (of Scottish origin) who encapsulated this character to its fullest potential. From films by John Carpenter to the personality of Ziggy Stardust, the influence of Quatermass lives on!